In 2016 Lapland’s exports was 3,6 billion, which was 7% of the total value of Finnish exports. For example, Lapland’s proportion of the turnover from mining of metal ores was 54%. The economy of Lapland is growing and the recession is over. What is the reason for the growth numbers and what kind of investments are under planning? Business leaders of Lapland discuss about the Lapland’s growth and the reasons behind it. This article is the second part of article series Behind Lapland’s growth numbers. Read also the first part about tourism growth. The Regional Council of Lapland’s report named the region’s well-functioning traffic connections and logistics, strong traditional industry, ICT expertise, strong international tourism expertise, excellent R&D and education supply, clean environment, and high quality of life as competitive advantages for its economic growth. According to the paper, tourism, mining, and process industries (steel and forest) are the key branches of the region’s growth. To that list, the stakeholders and think-tanks concerned now add bio-energy. Analysing sector that offers high growth prospective, mining, the latest economic outlook by sub-regions released by the ELY Centres (Centres for Economic Development, Transport and the Environment) said quality and properly conducted exploration can result in new mining ventures over the next 10 years. – People across the world are investing in mining. We have international investors from Canada and South Africa. And we have discovered minerals, such as gold, in Lapland. Lapland Chamber of Commerce CEO Timo Rautajoki, on the other hand, mentioned some promising mining projects. – These projects take time. We are expecting two or three mines here with the total investment valued at about 3 to 5 billion euros. The industrial sector, too, offers opportunities, like the hundred-year-old forest industry in Kemi with Stora Enso and Metsä Group as well as the metal industry company Outokumpu. The positive trend in Lapland’s process industries is reflected in the bourgeoning attractiveness of its exports. According to a recent barometer, the export industry is particularly visible in Outokumpu’s Tornio mills. The plant is now running at a near full capacity, after a difficult five-year spell. Its operating results have clearly increased this year, when in the first half of last year they were negative. – In Lapland, the growth is, relatively speaking, high and the level of demand for pulpwood is modest. The growth of forests across the country is accelerating, and in the north the incremental growth is the highest due to the young age-structure of the forests and climate changes. 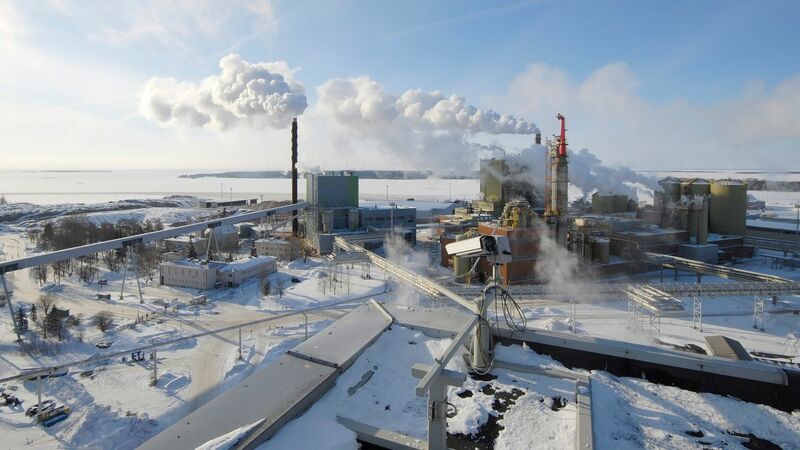 – CAMCE has assessed several locations and, according to them, Kemijärvi offers the most attractive one for their investment [in the bio-pulp mill]. On this issue, Regional Organisation of Enterprises in Lapland MD Pirkka Salo said the coming weeks will make clear the future of bio-refinery projects in Lapland. – Over the next two weeks, we will probably have more information about the plans of the Kemi bio-fuel plant and the Kemijärvi bio-pulp mill. If these investments are realised, they will have a significant impact on jobs and traffic of the region. And my assumption is that they represent the latest technology in their industry. The industries and the mines, according to Timo Rautajoki, need services of other companies for maintenance and subcontracting. – More than a hundred companies from the south of Finland have opened branches or offices in Lapland and another one hundred companies are willing to come when the recession is over, and now it is over. The business magnates also named tele-working as another thrust sector. According to them, technological developments as manifested in digitization and telecommunication speed, coupled with the strong institutions of higher education and research with global networks and pooled resources, have created an environment for innovations and now offer a wide spectrum of opportunities for tele-working. This development, according to the ELY Centres’ barometer, has enabled companies to decentralize operations even at the level of individual job, thus boosting productivity. Härkönen echoed the forecast saying that technology has not only made it possible to tele-work but also to create opportunities for university students and graduates to get jobs locally. Another emerging sector of growth is the Small- and Medium-sized Enterprise (SME). According to the ELY Centres report, there is a clear pick-up in SME manufacturing and investment projects from the start of this year, especially in the metal and timber and wood product industries. Talking on the much-needed improvement in the region’s logistics infrastructure, chamber leader Rautajoki cited the proposed Rovaniemi-Kirkenes rail connection as an example. He sees the prospect of investments in logistics as positive, too. – We are in the middle of a business boom. The Kemi-Tornio region is very promising for industrial investments. There is availability of raw materials, which supports industries, such as forestry and mining. We have energy and the hydropower is renewable. The location of Lapland is strategic and is well connected, making it easy to transport raw materials to Russia, Sweden, and northern Norway, he explained. Rautajoki also agreed with Salo about the dearth of skilled labor in many industries in the region, which has but a small population of about 180,000. – We are trying to attract people to come and live here, said Rautajoki as a possible solution to the labor shortage. Overall, Lapland, like the rest of the country, is enjoying a good growth, said Olli Koski, director of the Enterprise and Innovation Department at the Ministry of Economic Affairs. – Especially, travel services, forest industry, metal working and mining are important positive sectors for Lapland right now. There are always risks concerning the economic outlook, as both travel and heavier industries are somewhat cyclical activities. The travel industry in Lapland has recently been able to broaden its customer base to Chinese and other Asian tourists, which should make the sector more resilient towards economic fluctuations in the future, he surmised.